Check out our 2-minute craft video today at My Craft Channel! 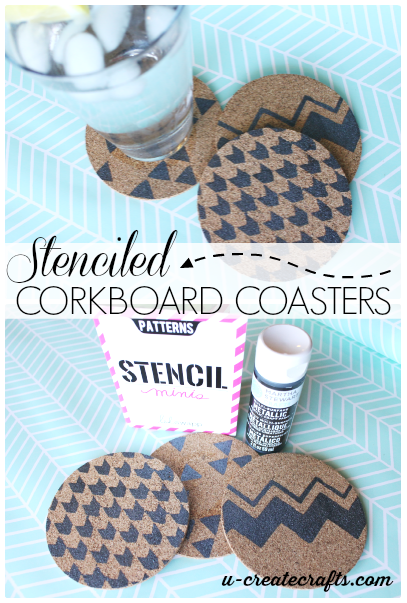 We are creating stenciled corkboard coasters in this fun video tutorial! We show you a quick way to add some color to those boring corkboard coasters. Make them to match your decor or bunch them together as a housewarming gift for a friend. How many do you think Becky can stencil in 2 minutes? What kind of paint did you use? does the paint not bleed when you put a wet glass on it?